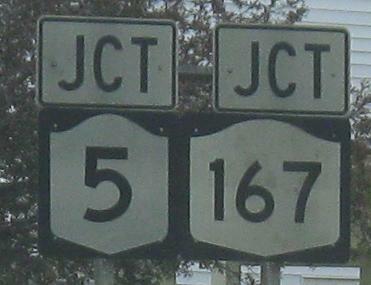 The first fractional distance I've encountered, NB on a half-mile triplex. 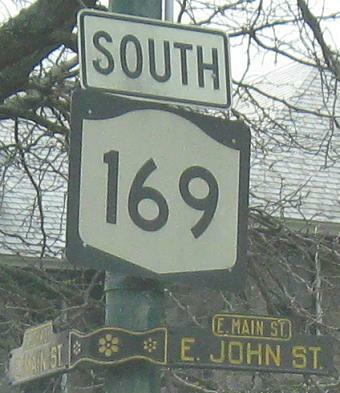 From the shield atop the page along Albany St. (one-way EB) to Main St. in Little Falls, where the halves of the route meet up such that it looks like you're on a side street. 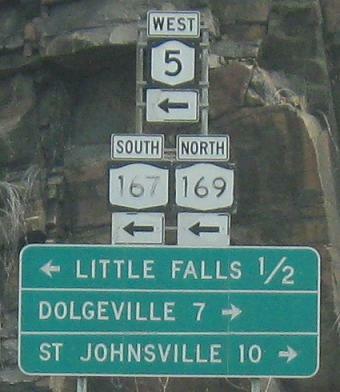 The Little Falls themselves are on the NY 5 page, linked at bottom. 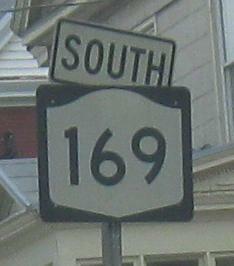 The street sign on the northwest corner of NY 169 SB-NB, and then the intersection immediately across and to the north on Main St. Someone with knowledge of the area could tell me how old these are, but I'm guessing my grandparents still threw tantrums back then. 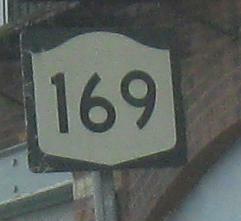 The red circle is a little large on these old signs, preventing traffic from heading west on Albany St. against the flow of NY 169 SB. 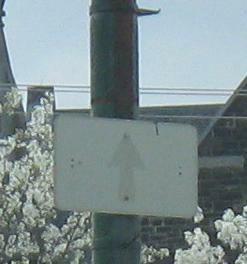 Another old street sign sneaks in underneath an old (but newer) shield. 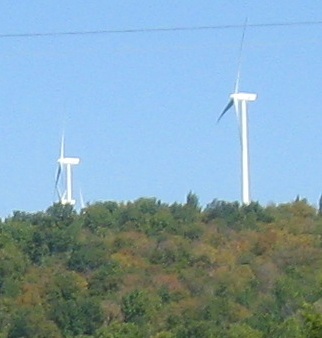 The arrow in the first photo may have belonged to an NY 5 shield, perhaps even with the NY inside. 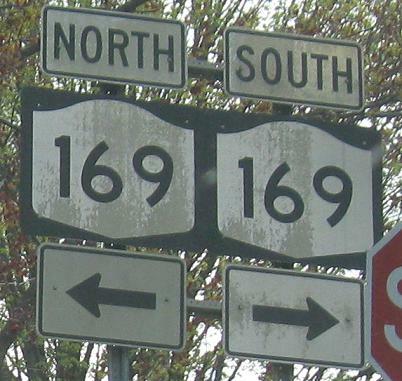 That's all the old stuff on 169 in Little Falls - at least southbound. 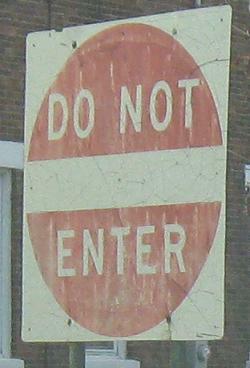 Two NB shields opposite the SB run along Main St. 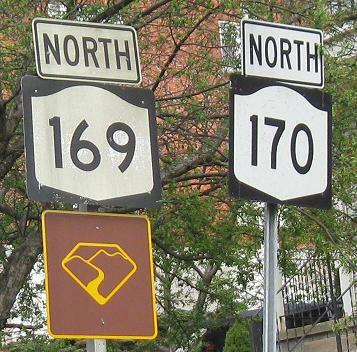 I'm pretty sure that's supposed to be TO NY 170. SB from the top of the route.